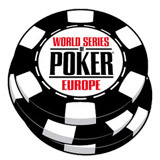 The 24/7 Freerolls 888 Poker promo has been extended until the 15th September 2014, that's an extra two weeks of 24hr freerolls. 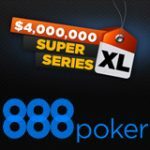 The 888poker promotion previously offered $500,000 in prize pools with over 1,176 Freerolls running around the clock, those figures will now be increased. All tournament tickets that were received before the 29th July will expire on 1st September, tickets claimed after that date will be valid until the new extension date: 15th September. New players can get their share of the best online poker freerolls by signing for a free account that gives players 24 hours access to the 24/7 Freerolls 888 Poker promo, play for $10,000 in freeroll prizes pools everyday. 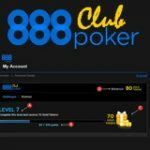 888poker have proven their success as an online poker site by ranking in 2nd place for traffic below the World largest poker site PokerStars. There is a huge difference in the amount of players playing on the software as PokerStars has about 10 times the amount of traffic than 888poker. 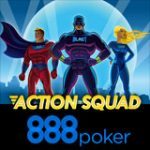 888poker is a better option for new players wanting to learn how to play poker online. There are better freeroll tournaments that are totally free to enter plus free poker cash and tournament tickets for new players with no deposit required to claim. 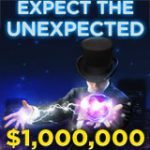 PokerStars Privilege Freerolls and freeplay bonus require a deposit of at least $20 which requires freerollers to risk their own cash to participate. Get twenty-four tournament tickets to the hourly 24/7 Freerolls, play for $10,000 in prize pools. Earn an additional $80 in free poker bonuses by earning status points. 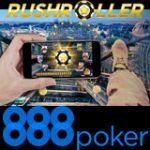 Players can sign-up to 888poker using almost every device available including: PC, Mac, iPad, iPhone and Android mobiles or tablets. 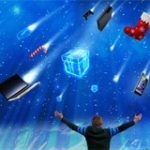 Tournament tickets for the 24/7 Freerolls on 888 Poker will instantly be issued to new players when signing up with a valid email from using any of the devices listed above to join 888poker. The 24/7 Freerolls 888 Poker tournament tickets are valid for a week and when activated players can enjoy 24 hours of freerolls running every hour. There is $10,000 in freeroll prize pools to be won everyday, the freeroll tournaments take place every 8 minutes past the hour. New players can get additional tournament tickets for the 24/7 Freerolls 888 Poker promotion by making a first deposit before the 14th September. 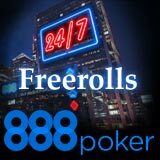 Use 888 poker promotion code NONSTOP247 when making a first deposit of only $10 to get an additional 48 hours of 24/7 Freeroll tournament tickets.